It appears some folks are trying to resurect a television show that I am wikked fond of. So as a favor to me please go HERE and tell them you would watch it if they did. 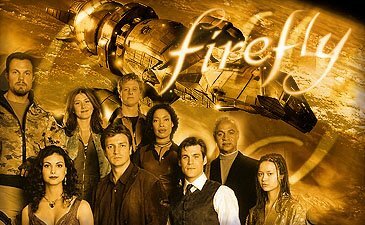 Now I say "Firefly Season 2" and "Serenity" and "Joss Whedon" in hopes that this blog entry will show up in searches. Thanks. Worst Episode Of THE OFFICE Ever! Man is it boring! What is it? 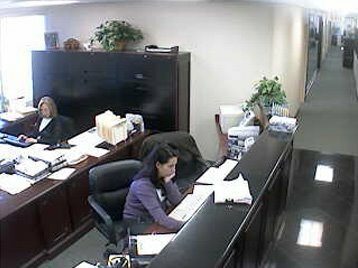 It’s the security cam at the Manheim Realty company in Levittown, New York and it is one of over 1300 live webcams you can eavesdrop on thanks to opentopia.com. The site explains “These are web cameras with IP addresses, which send a continuous stream of pictures in the Motion JPEG format.” It also explains that “The snapshots you see here appear as fair use according to copyright law.” I am sure they just barely make the legal cut. But its actually interesting for a few minutes to watch office workers shuffle around their cubicles, or watch cars wiz by on a small street in Denmark, or shoplifters browsing an electronics store in Texas. I have to say in all the shots that occur indoors I can’t help but find myself waiting for the gunman/men to burst through the doors of the store, office or classroom and start shooting. I guess with 1351 cameras going eventually they will. I'm Afraid Of The Russians, I Can't Sleep At Night. Venerable reader Redboy provides this linky for the scoop on what brought the Million Dollar Hompage down. The Million Dollar Hompage Broke? Youd think for a million bucks the million dollar homepage would work. Im sure it will be up again soon, but I'm just sayin. So far its been down for about 20 minutes that I know about. That would be down since 3:25pm to my knowledge. Congratulations Alex Tew! 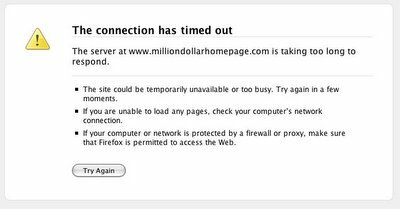 The Millon Dollar Homepage has officially made one million dollars plus 37,100 more from auctioning the last 1000 pixels on Ebay. That is ALOT of socks. 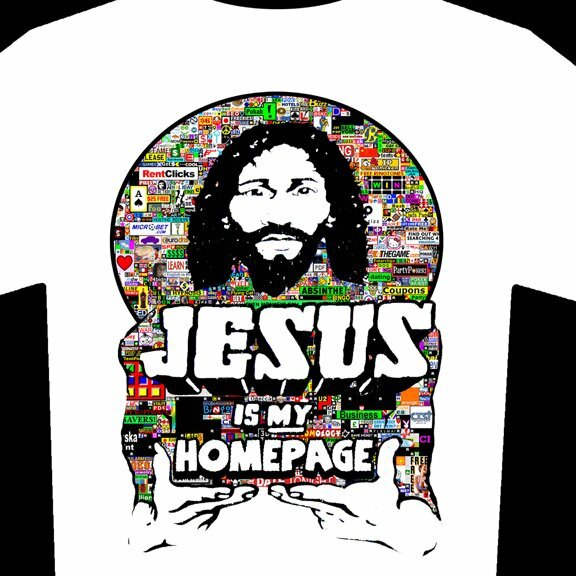 I made this T shirt deign in your honor. UPDATE: You may be wondering why the ebay auction reached 152,000 dollars but in the end only made 38,100 dollars. There is a good explanation here. 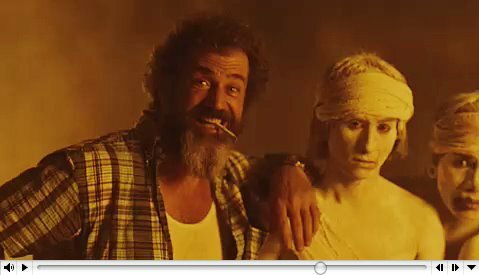 Is Mel Gibson (Max Rockatansky) Crazy? Well, of course he is. But is he crazy like a fox. Yes. His latest Movie endeavor is Apocolypto. A story of the roots of ancient civilization. By Monday millions will have watched the trailer. Not because we are all dying to see Mel’s next movie (though I would be if it were called Post-Apocolypto) But because he threw a tasty easter egg into the trailer. That’s wikked smaht. To view it go here and play the LARGE version. Notice on the picture above approximately where the frame appears (00:01:46) about 10 frames after a face caught in a net. Now, show your friends… that’s how “viral marketing” works. And works well. Ya know, for the fastest growing, scariest, internet monster Google sure is cool. Thier Homepage today was a salute to Louis Braille on his birthday. Go to google and click it to learn more.